Northern Plains Jerky Outpost – Unique & Tasty Crave Exotic! Unique & Tasty Crave Exotic! 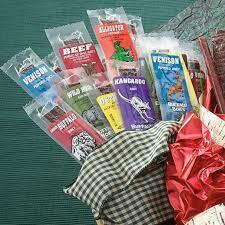 Northern Plains Jerky Outpost offers a line of 10 different wild game jerky sticks and 10 different wild game meat sticks. We sell direct to consumer, wholesale to retail businesses and to non-profit organizations for fundraising. Our clients will tell you our products are fun and great tasting! Copyright © 2019 Northern Plains Jerky Outpost.